Home › Announcements › Apex NC ~ Stork Signs for New Baby! Apex NC ~ Stork Signs for New Baby! Apex, NC! Welcome home to this sweet baby boy! We were excited to welcome this sweetie home with our personalized Sailboat Sign! Check out our variety of classic stork signs as well! Sandhills Baby and Birthday Signs is the greater Sandhills’ premier lawn sign and stork rental business, serving Southern Pines, Apex, Sanford, Pinehurst, Cameron, Carthage, Spring Lake, Raeford, Fayetteville and surrounding towns. 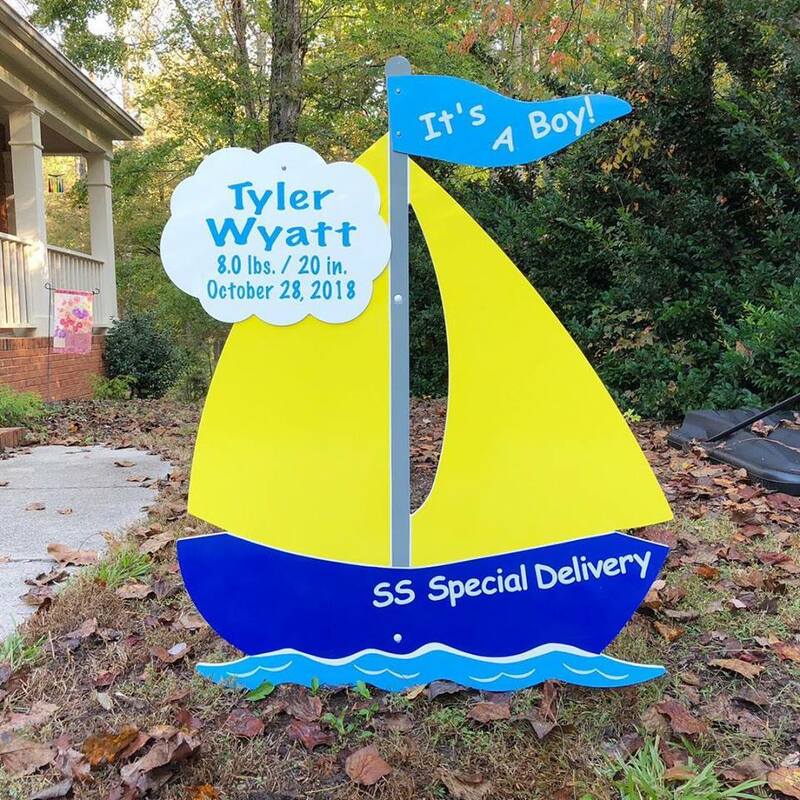 Call us at 910-723-4784 to reserve a birthday yard sign or a stork sign for a new baby! Visit us on Facebook, Instagram, & Pinterest!